We use these tools for online collaborative Learning between schools. 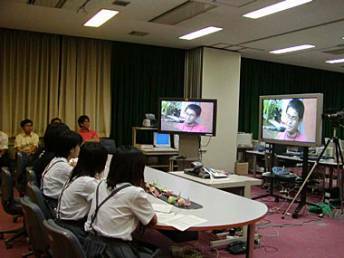 NDYS started from the video-conferencing which connects the Egypt Youth Summit and the Hyogo prefecture education training institute. 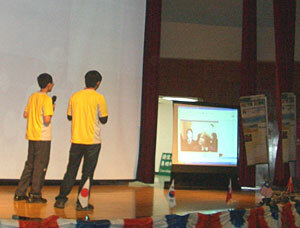 Natural Disaster Youth Summit 2006 in Taiwan, Fukiai SHS students presented Global Disaster Safety Map through Video- Conferencing. Let's have video-conferencing several times, so that everyone can meet each other.